Recipe for Fitness: Tasty Tuesday - Jambalaya! Maybe it's the season - nearly spring, mardi-gras - maybe it's just random, but I've been craving some good, homemade, cajun yumminess. After spending hours searching for recipes, and comparing them, I came up with a basic skeleton of a recipe, then had a whole lotta fun fleshing it out! The result is this super tasty Jambalaya that's going to make your house smell like glory, fill your belly with cajun goodness, and help you burn more fat. Ha! Yep! The capsaicin in this recipe does indeed help you burn more fat (mighty metabolic monster!!)! Now, don't let the list of ingredients scare you off. You can prep this recipe on your one-day food prep, then just set all those ingredient baggies in a larger ziploc or a bowl/tray. When you're ready to whip this up, pull out those ingredients and you're on your way in moments! The jambalaya takes about 15 minutes hands-on, then simmers for 1-2 hours (your choice - more simmer = more flavor). Then you add the shellfish and cook another 15-20 minutes, and it's ready! It's really not complicated, I promise! 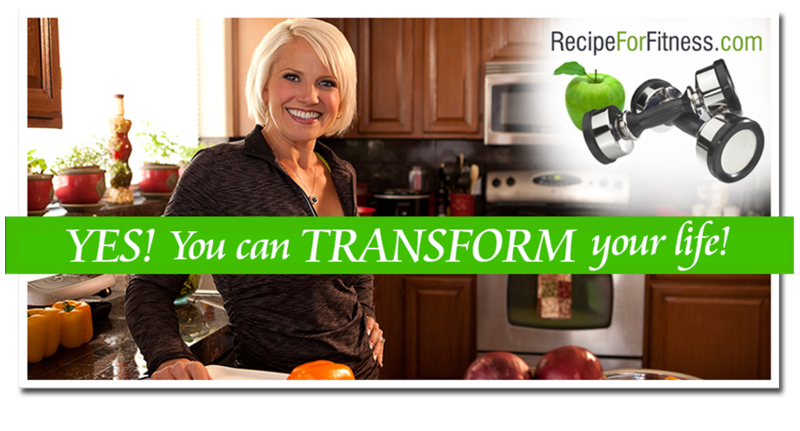 "Craving comfort food, but don't want to sabotage your goals? 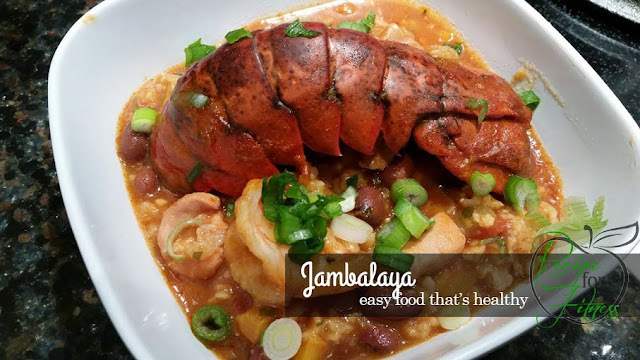 This amazing jambalaya will satisfy your tastebuds, fill your belly, and help you burn more fat!" In dutch oven over medium high heat, add 1 Tbsp olive oil. When sizzling, add garlic and peppers, stirring often until just beginning to soften (about 5 minutes). Add chopped/diced chicken and sliced sausage and cook until chicken is mostly not pink. Add crushed tomatoes, tomato sauce, seasonings, broth and rice, stirring well. Reduce heat to lowest simmer and cover, leaving a small gap in the lid for steam to escape. Cook, stirring periodically, about 60 minutes. You can cook longer - the longer it cooks, the more flavor there is, just keep that heat low, and stir occasionally. Add red beans and stir, then lay shrimp and lobster (or crawfish) on top, recover and increase heat to medium. Cook until seafood is cooked through (about 15 minutes). Serve, topping with chopped green onion. *You can substitute low-sodium chicken broth for bone broth if you can't find it. I recommend Pacific Foods or Imagine brands. ** You can substitute a raw onion, diced, for the dried onion. My husband doesn't like the texture of the fresh, but can handle the dehydrated. ***CROCKPOT: You can make this in the crockpot! Add everything to the pot (except red beans, shrimp and lobster), and cook on low 4-6 hours. About 20 minutes before serving, add remaining ingredients, cover and continue cooking until shrimp is no longer translucent.